provide added comfort and performance. water with the breathability of cotton. Perfect for workouts inside and out. 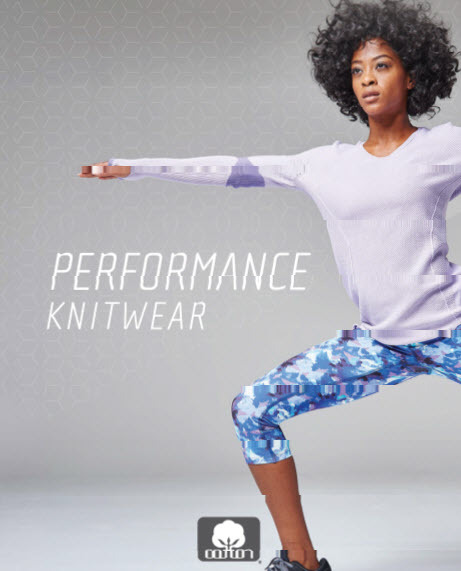 Technology available at Andari Fashion, Inc.
create a comfortable knit for active lifestyles. pieces are assembled by linking. yarns and ventilation through construction. please contact your Cotton Incorporated representative. WHOLE GARMENT® is a trademark of Shima Seiki U.S.A. Inc. used by permission.